Storage Insurance: Do You Need It? Stay in one place long enough and you will end up with more stuff than you know what to do with. Things seems to have a way of accumulating without you even noticing. 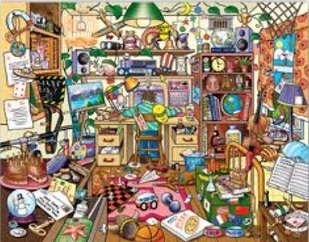 Homes start looking like they are bursting at the seams, overwhelmed with toys, clothes, books, and family treasures. Our offices become crammed and over-run with piles of documents we need to save. Our garages get over-stuffed with sports equipment and tools. Time to declutter! One of the toughest decisions when starting to declutter is what to do store and what to keep. Something that you don't need in your home now may be just the thing you want or need some day. Click here for some advice on "Decluttering: Store or Keep". even offer a free truck and driver on selected units to help make decluttering easier. Please give us a call at 949-366-1133 and our friendly staff will be happy to answer your questions or schedule a tour of our beautiful storage facility. You will see that our facility is extremely clean and well-maintained, with state-of-the-art security features. A storage unit at San Clemente Self Storage will be the perfect solution as you declutter your home. © 2019 San Clemente Self Storage, partners and affiliates.